Are you ready to find the meaning of YOUR life? Do you ever feel life is something that “happens to you while you are busy making other plans”? Do you live your life according to someone else’s expectations? Do you recognize that feeling of “there must be something more than this”? If you often find yourself feeling insecure, lost, blocked and in not-the-right place (/job/city/relationship etc.) it’s probably because you are in a situation that is contrary to your core values. If you don’t live by your values, you may feel a lack of meaning and this can even lead to burnout, low self-esteem, existential crises and even stress and depression. But how can you change that? Well, my dear, if you want to live according to your values, you must know exactly what your values are and why they are important to you. That’s what I’m here to help you with. I’m Charlotte Engel. When I was in my late 30’s, I found myself in a deep personal crisis. I felt lost at sea. I had lost sight of where I was going in life, I’d forgotten what I needed to fuel my boat, and I had lost touch with who I am. Since then I’ve been self-medicating on creativity and self-development. 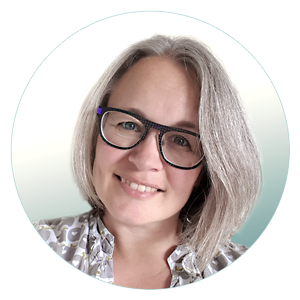 I’ve developed this e-course to introduce you to some of the things, that has been most valuable in my journey towards a strong self-image and an authentic life. A Creative and exciting journey, and it’s all about YOU! 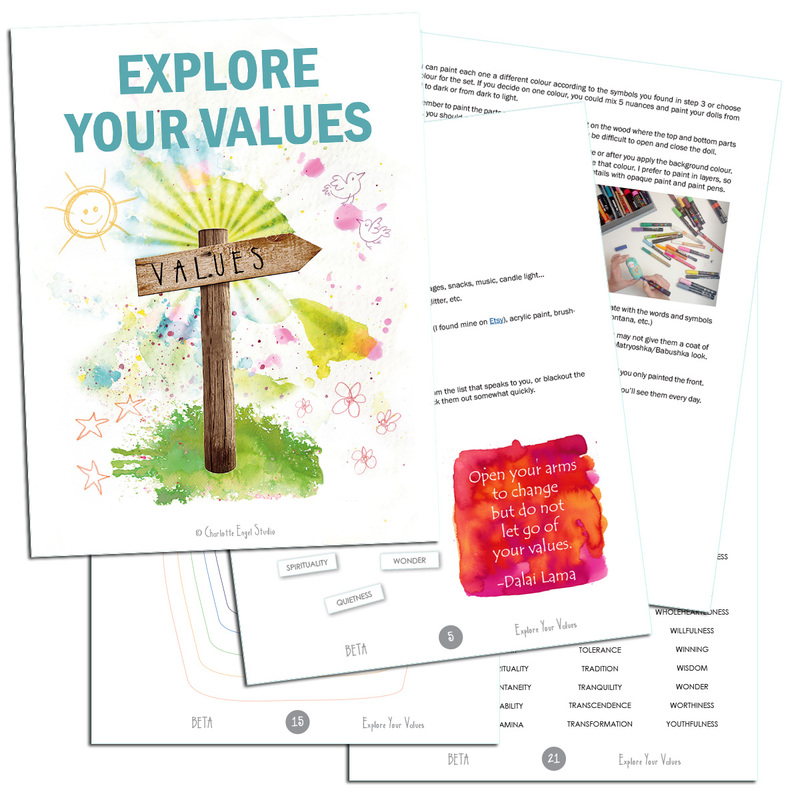 EXPLORE YOUR VALUES is a pdf workbook that will guide you through the process of identifying, researching and analyzing your core values in 6 creative steps. 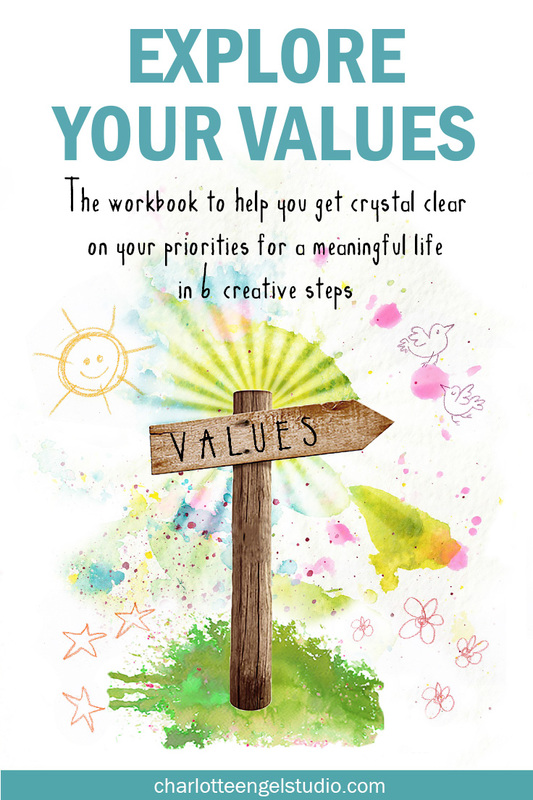 The steps will help you to not only identify your values but also make you think, write and create about what each value means to you and you your life. This is no miracle cure. I won‘t promise you overnight transformations. Personal development takes time and work. This is, however, a very good stepping stone to insights that over time will become an integrated part of you and a compass for your authentic life. This class is doable with supplies that you probably have already. Your favourite art supplies – paint, markers, tape, glitter, etc. 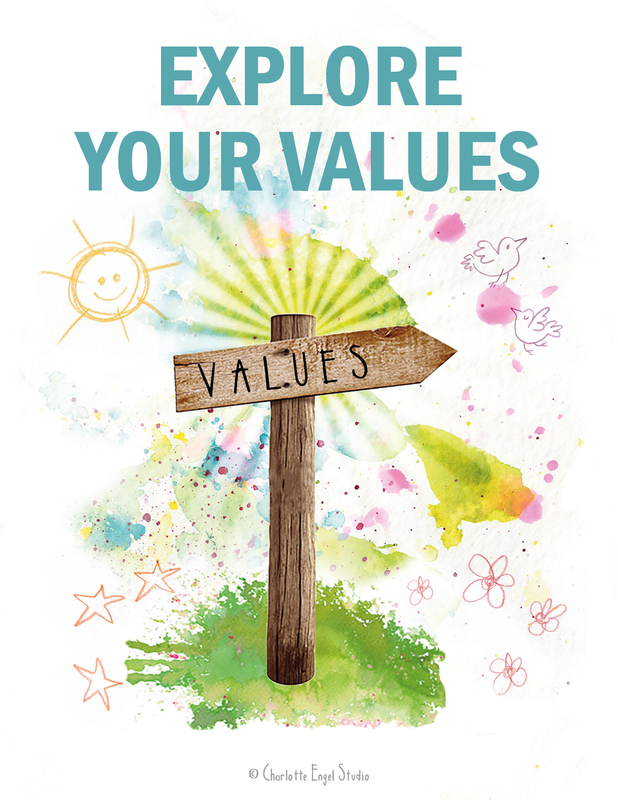 Are you ready to EXPLORE YOUR VALUES? Click the BUY NOW button below to go to my Etsy shop. When you buy you get instant access to the workbook and can start your exploring today!